Sarah Nader - snader@shawmedia.com A group gathers to listen to taps being performed during sunset at a display to commemorate the 15th anniversary of 9/11 at Sun City in Huntley Friday, September 9, 2016. 2,976 American flags were displayed in memory of each victim who died Sept. 11, 2001. 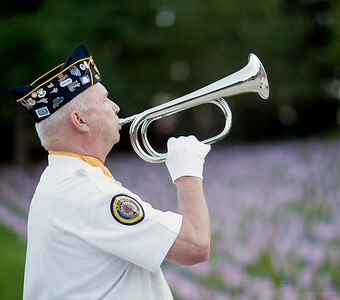 Sarah Nader - snader@shawmedia.com Veteran Tim Nash of Huntley performs taps during sunset at a display to commemorate the 15th anniversary of 9/11 at Sun City in Huntley Friday, September 9, 2016. 2,976 American flags were displayed in memory of each victim who died Sept. 11, 2001. 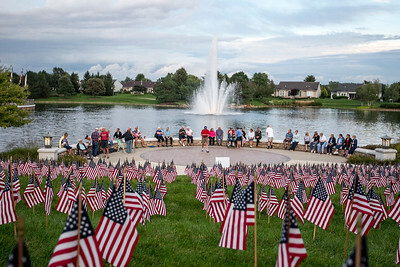 Sarah Nader - snader@shawmedia.com 2,976 American flags were displayed to commemorate the 15th anniversary of 9/11 at Sun City in Huntley Friday, September 9, 2016. 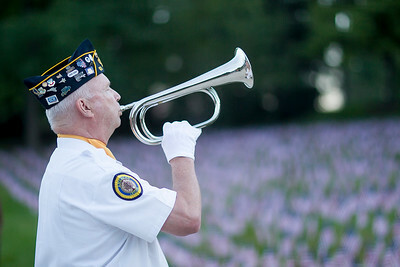 Veteran Tim Nash of Huntley performs taps during sunset at a display to commemorate the 15th anniversary of 9/11 at Sun City in Huntley Friday, September 9, 2016. 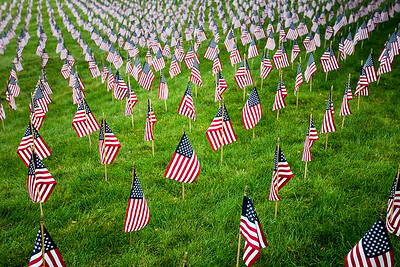 2,976 American flags were displayed in memory of each victim who died Sept. 11, 2001.